According to The Law Shelf project from the National Paralegal College The Appointments Clause gives the executive branch and the President, not Congress, the power to appoint federal officials. The President has the power to appoint federal judges, ambassadors, and other “principal officers” of the United States, subject to Senate confirmation of such appointments. The president does have some control over the judiciary. It is entirely within the POTUS’s power to appoint and confirm appointments of judges and justices. Furthermore, congress has the ability to impeach judges and remove them from office, alter the organization of the federal court system, and even amend the Constitution. Sometimes the power of ruling is only as important as the power to enforce. Congress can get around court rulings simply by passing a slightly different law than one previously declared unconstitutional. Courts have limited power to implement the decisions that they make. For example, if the president or another member of the executive branch chooses to ignore a ruling, there is very little that the federal courts can do about it. So what’s the point of Federal Judges and courts if they can not enforce their rulings? The federal courts’ most important power is that of judicial review and the authority to interpret the Constitution. When federal judges rule that laws or government actions violate the spirit of the Constitution, they profoundly shape public policy. For example, federal judges have declared over 100 federal laws unconstitutional and in fact, 60 percent of the executive orders put into place by Obama were overturned by federal judges. In a nutshell, a federal judge can over turn any decision they believe is unconstitutional. 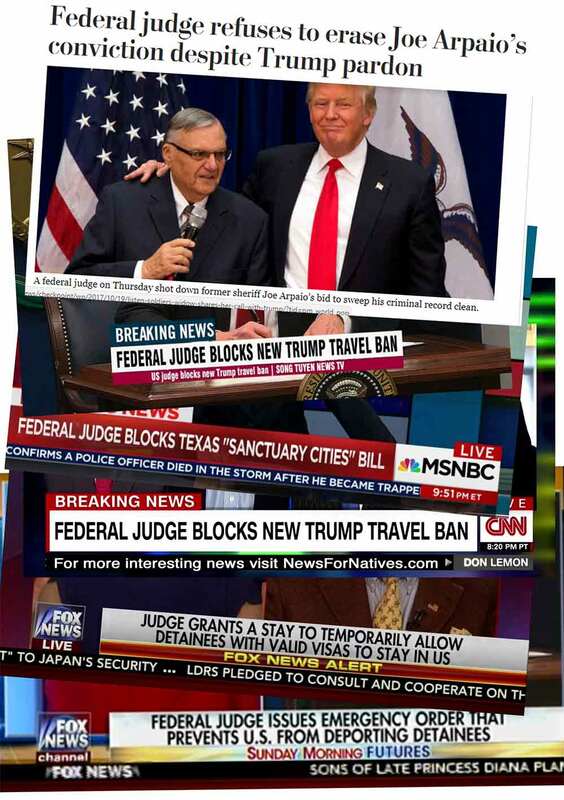 On the one hand, federal judges weigh the balance of power between our President being a totalitarian ruler and our government becoming too Orwellian. On the other hand, if we vote intelligently, we hope to have a president who has our best interests at heart and will be wise and intelligent enough to know how to make America and her people be prosperous and happy. Do federal judges have too much power and control? It’s hard to say really. What do you think?